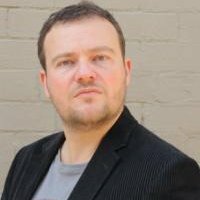 Episode 10 includes an interview with Tim Burrowes, Content Director at Mumbrella. We talk about Mumbrella’s experience of segment based email marketing with Campaign Monitor, the value of dashboards for ongoing analytics and the pros and cons of retargeting. Tim discusses Mumbrella’s recent growth and plans for the future in other verticals and the learnings from launching an iPad version of Mumbrella. We wrap up with some musings around finding your niche and the importance of just doing it. The episode also includes a clip from my favourite Serial parody – Triple J’s Cerial and a sneak peak clip from episode 11!